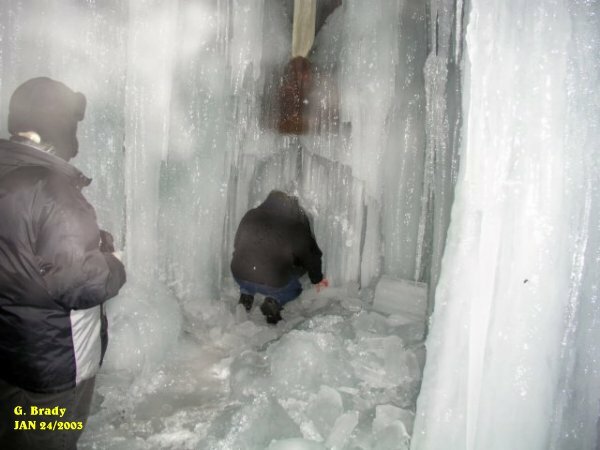 Chad giving it another try to get through the hole in the wall of ice. After the ice wall, I returned to taking more photos within the tunnel. Every now and then we could hear a dog bark near the entrance, then we heard a low growling noise. 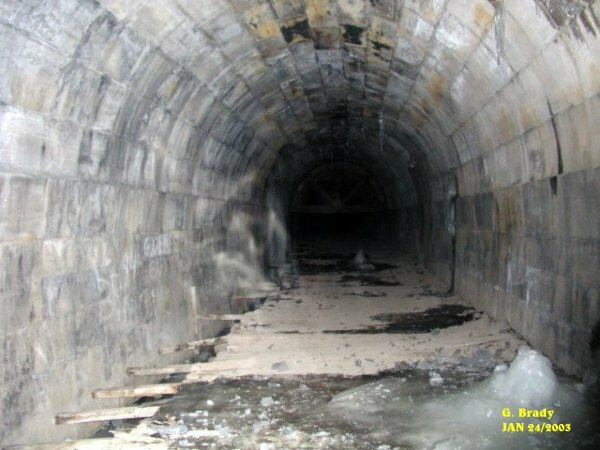 After that we all heard dogs howling in the distance not too far from the tunnel. The howling got louder and seemed to be getting closer, then it seemed the howling went further away. Cathy had wandered down to the entrance of the tunnel and as soon as she reached the end of the tunnel the howling came to an abrupt stop. I wandered down and stood with her, listening to nothing but silence. 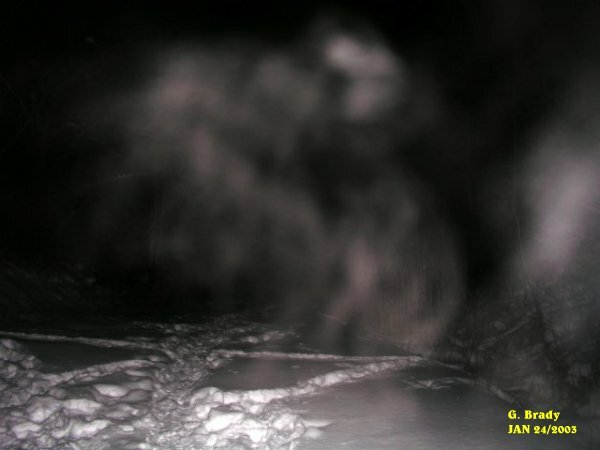 I took the above photo of the trail that leads to the front entrance and got a purple energy form of what appears as a dog in a sitting position on the trail to the right. In the next three shots I had taken nothing showed up on camera. After talking for a bit about what we all heard I went back to taking more photos in the tunnel. This shot was interesting. 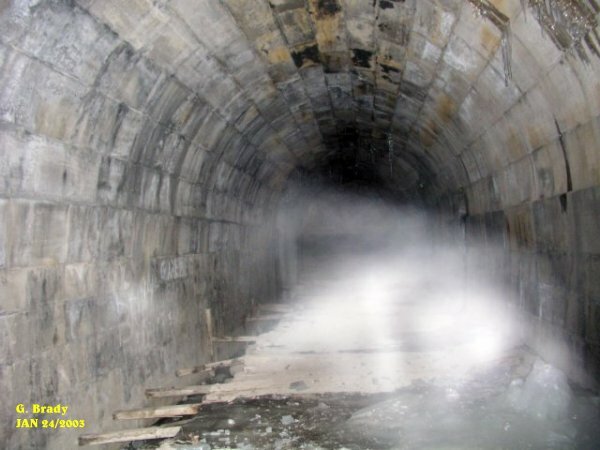 Ecto mist seemed to be forming and traveling along the floor of the tunnel. It had some energy to it as it went along. 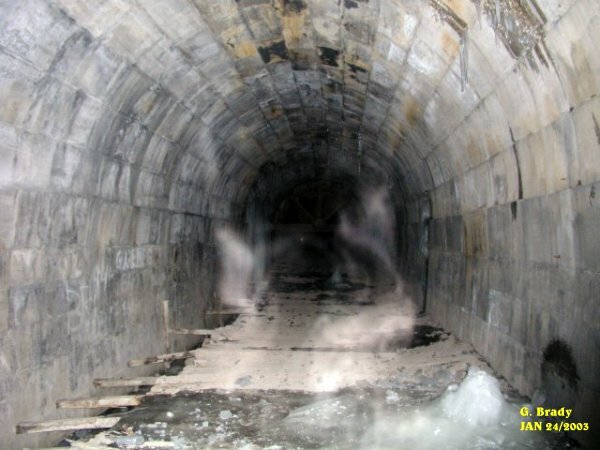 Shortly after the last picture was taken, up ahead in the tunnel there appeared to be 3 figures forming. All three figures had a strong energy to them. 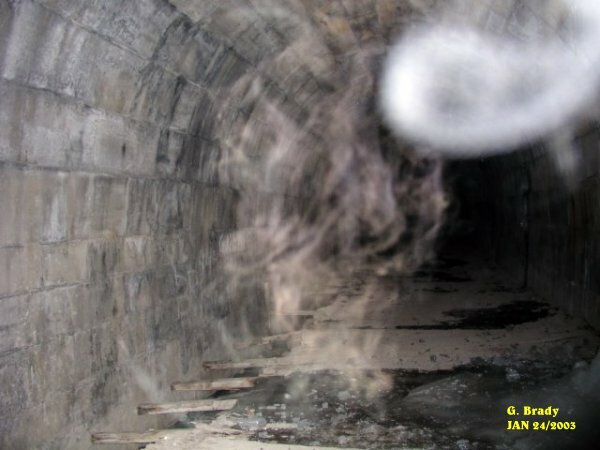 This photo shows ecto mist forming into....what? I still can not figure out what is was going to be. This photo shows a very strong energy form of some kind of animal just ahead of me. 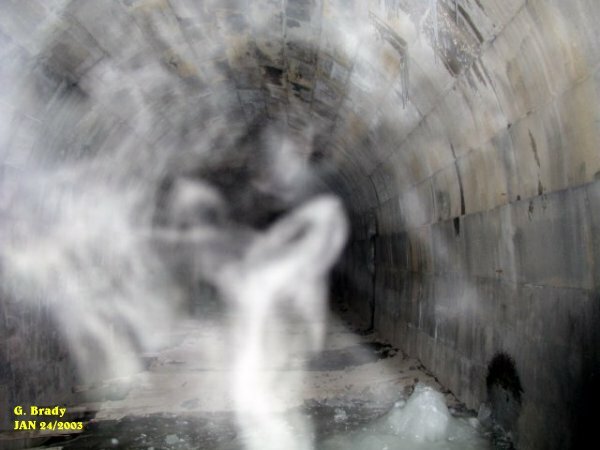 The spirit form was fully energized by showing itself in a very bright mist form. After calling out the dogs names that were given to us while we used the OUIJA board at home, a spiral form of what appeared to be many animals showed in this photo. Each time we call out the dogs names we get something on camera. Also when we call out the name TUCKER we get activity. 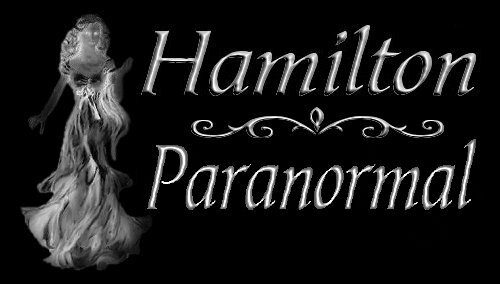 We know that the OUIJA board is a hit and miss sort of tool, however it is fascinating to know that when we try calling out the names of the persons or dogs names in the tunnel activity seems to start up. 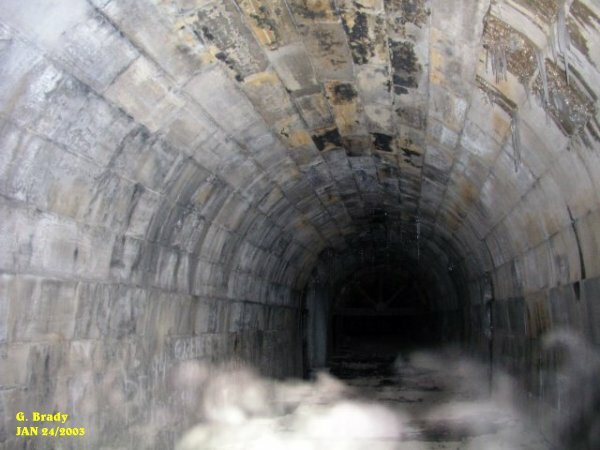 This photo, if you look to the left of the tunnel, there appears to be three forms. Two of the forms seem to be facing one another, the other in a sitting position with its head tucked in between its arms.